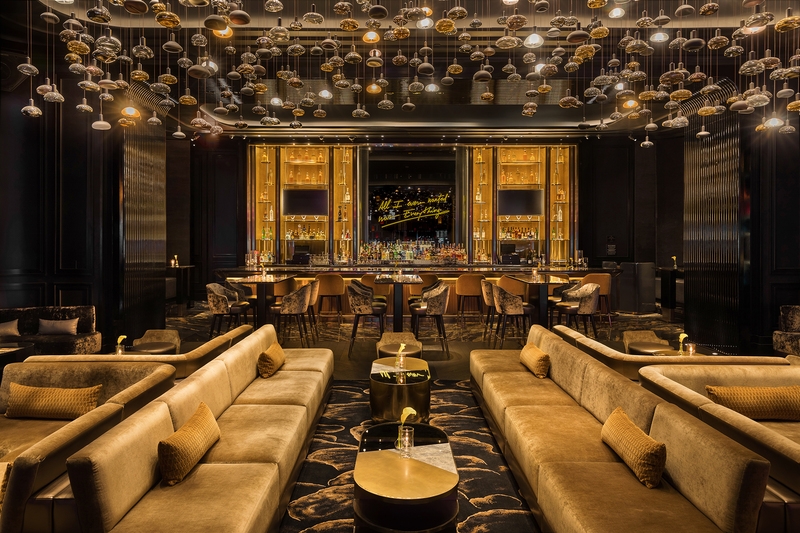 The Camden Cocktail Lounge is the perfect place to have a drink with your friends, but it’s also an ideal destination when you want to watch the UFC fights. With delicious cocktails, a great atmosphere, and a perfect location, it’s no wonder that our UFC fight nights are so popular. Not convinced? Here are 10 reasons why you should come down to Camden Cocktail Lounge to watch the next UFC fight. We offer plenty of great events, and have special UFC nights. 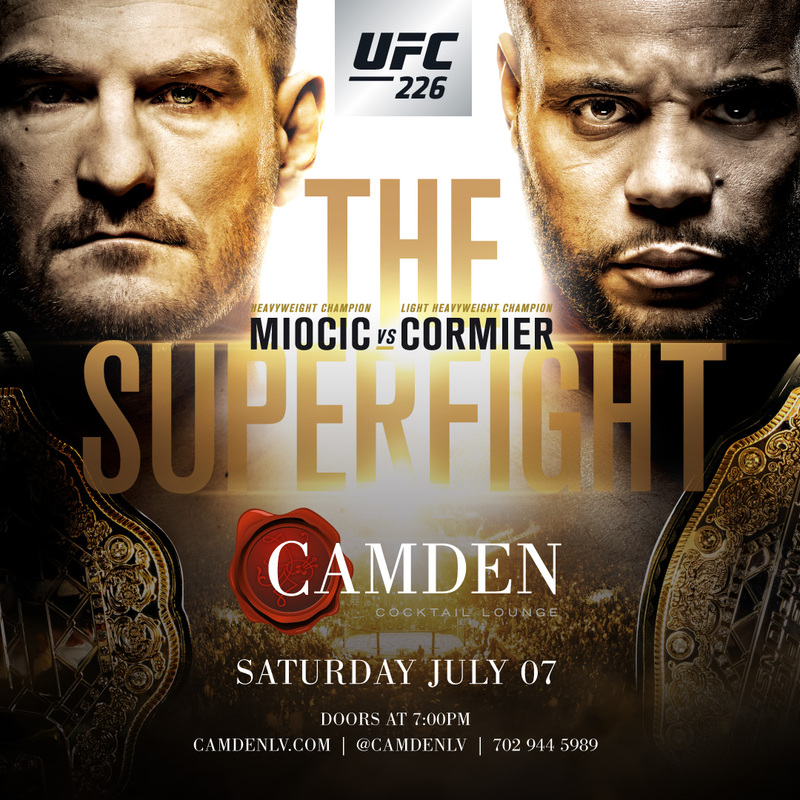 On Saturday, July 7th, we’ll have the Superfight between Miocic and Cormier on all of our televisions, and you can be sure that there will be plenty of UFC fans present to cheer on their favorite fighter. At Camden Cocktail Lounge, our one-of-a-kind atmosphere makes for a special UFC viewing experience. The lounge is opulent, with bronze accents, a decadent bookcase, and a stunning cove ceiling. You’ll dine in comfort, all within easy sight of one of our flat screen TVs so you don’t miss a moment of the action. We take pride in bringing you standout cocktails, and our mixologists have gotten creative in coming up with some unique drinks you’re sure to love. You’ll find some unexpected ingredients in our cocktails that give them a bit of a twist – for instance, the White Tiger cocktail is garnished with jalapeno cotton candy. There are plenty of options for you to try while you enjoy the fight. Not feeling a cocktail tonight? That’s no problem – we have a varied beer menu that offers plenty of choices. With a wide assortment of domestics, imports, and crafts, you’ll be able to find the perfect beer. If wine is more to your taste, then you’re sure to appreciate our carefully curated selection. A quick glance at our menu reveals some unique table snacks. Your party won’t go hungry during the viewing – not with options like Kung Pao Chicken Meatballs, Buffalo Rock Shrimp Hand Rolls, and Signature Buffalo Tulip Wings. Round out the night with our Donuts & Coffee or Deep Friend Brownies and you’re sure to go home satisfied. At Camden Cocktail Lounge, your night out won’t just consist of watching the big fight. With our Tableside Mixology service, you and your party will have a chance to interact with our mixologists right from the comfort of your table. See the cocktails made right in front of you, ask questions, and get a sense of the artistry that goes into each and every drink. It’s fun to watch, and your drink becomes an experience that you and your friends won’t soon forget. Our atmosphere may be decadent and luxurious, but we’ve integrated some modern technology with our flatscreen TVs. With plenty of TVs, you’ll always have a great view of the fight. In Sin City, location matters. We’re located within the Palms Casino, Resort and Spa and are situated right in the heart of the city. There’s plenty to do and you’ll be surrounded by tons of nightlife, so your night doesn’t have to end after the fight is finished. Watch the UFC fights in great company. With our designated UFC event nights, you’ll bump elbows with other UFC enthusiasts. There’s plenty of energy as you cheer on your favorite fighters and share in the victories with a crowd. While it can be fun to watch a big fight in the company of other UFC fans, sometimes you want to just enjoy the fight with your own group. Camden Cocktail Lounge’s private events allow you and your friends to enjoy the Camden atmosphere in a quieter, more private setting. Consider getting a bunch of your friends and family together for your own special UFC viewing party. With an amazing atmosphere, top-quality cocktails, and a great menu, it’s no wonder that Camden Cocktail Lounge is the perfect UFC viewing headquarters. Be sure to join us for this Saturday, July 7th, and keep an eye on our events calendar as we add more UFC fights to our lineup.